Species name is specified the locality of holotype which was recorded from Laos. 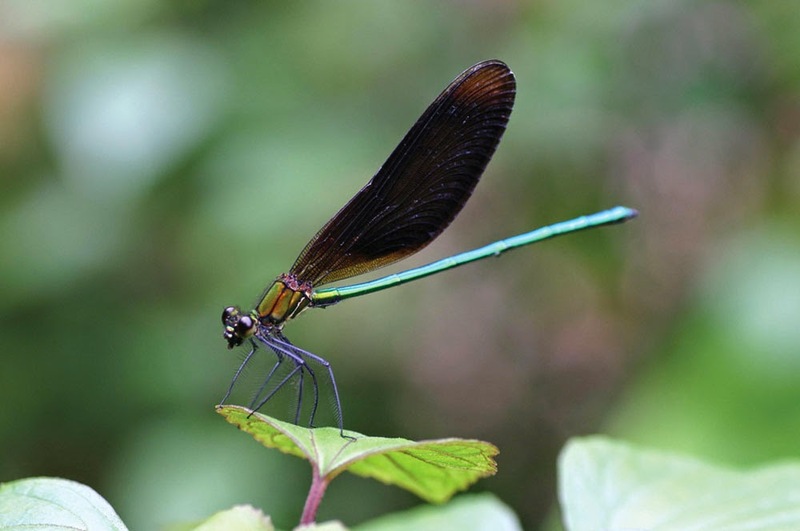 A large size damselfly, the body is shining metallic green. The legs are slim with long spin rows. In the sunlight, the body reflects from metallic red-green to blue-green in colour. Two pairs of wing always fold up above the abdomen; they are red-black and darker than those of Atrocalopteryx coomani. The abdomen is somehow flattened in dorsal-ventral side. The mature forms fly at opened but clear streams with rich of oxygen on highlands of west-north of Vietnam. The damselflies usually appear from middle to the end of rain season with high humidity. They are not very active insects and often perch on vegetation near the water.